This is a band that mixes the tenacious tradition of historic salsa bands with an implacable desire to make people dance to their original music made in Canada. Influenced by salsa dura heroes such as Ray Barreto, El Gran Combo, or Fania, and modern Latin ensembles such as Spanish Harlem Orchestra, Indestructible aims at writing golden pages in the still young history of Latin Canadian music. There is only one way to do this: with a bulletproof lineup of seasoned musicians who have endured time, tours, and challenges associated with keeping a 12-piece orchestra alive in today’s competitive music industry. 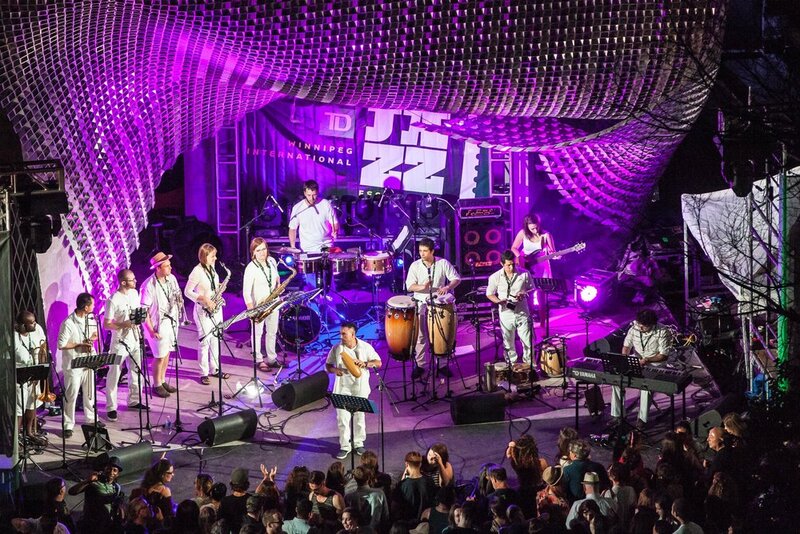 This Canadian band has played alongside top salsa bands such as Puerto Rican Power and Sonora Carruseles, and is well known in dance music venues in Manitoba, Saskatchewan, and Alberta. Indestructible has a heavy-duty ability to give audiences amazing performances on any kind of stage, whether it is a massive festival (Folklorama, Winnipeg Jazz Festival, Calgary Fiestaval, Brandon Folk Festival, Regina Latin Festival) or dancing clubs in cities and towns in Canada.